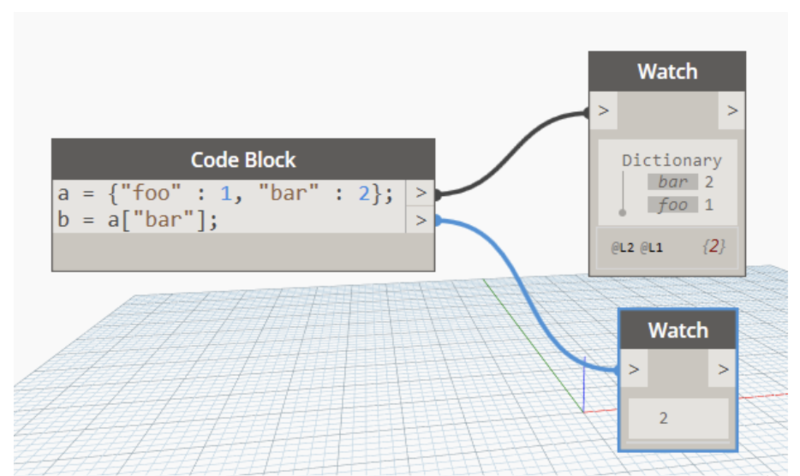 Not only does Dynamo 2.0 introduce the nodes previously discussed for dictionaries, there is new functionality in code blocks for this as well! You can use syntax like below or DesignScript-based representations of the nodes. 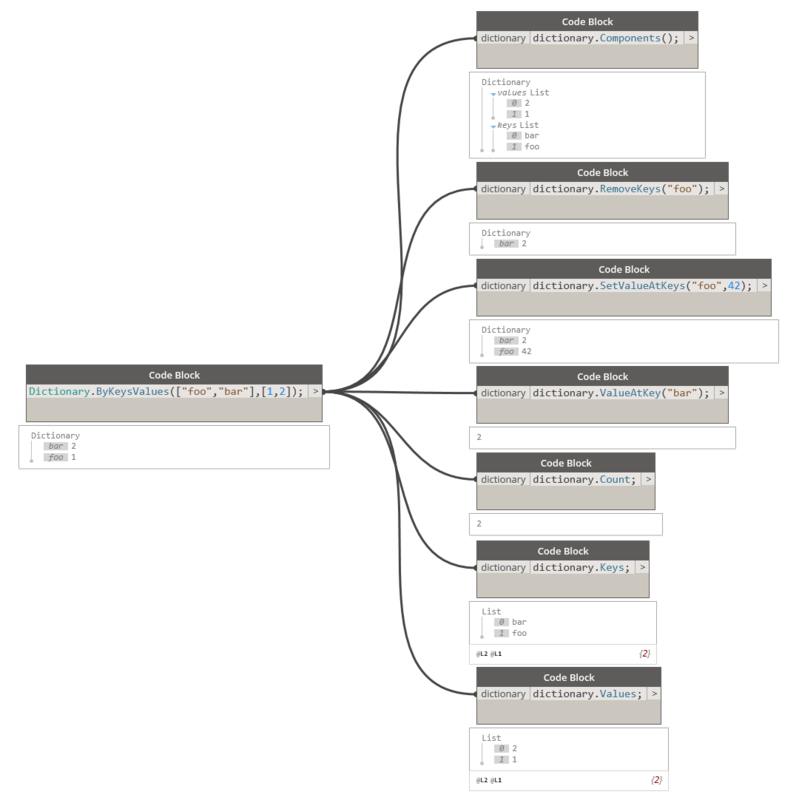 Since a dictionary is an object type in Dynamo we can commit the following actions upon it. Maintaining these sort of interactions becomes especially useful when relating Revit data to strings. Next, we will look at some Revit use-cases.